To get maximum performance from anything, it needs to be fuelled in the right way. Your working dog is no exception. 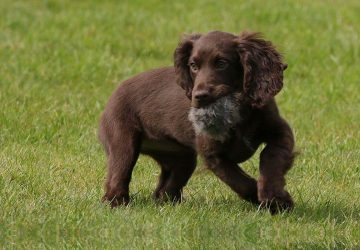 Whether you have a labrador, a spaniel or one of the HPR breeds, you should always be looking to feed it the best diet possible. To help you on your way, we spoke with Kate from Stoneycairn Gundogs who gave us some insight into her approach to feeding and the ideal gundog diet. This is an excerpt from a full interview we did on the podcast with both Kate and Simon from Stoneycairn – you can listen to the full interview here where they go into a lot of detail not just about feeding but selecting a gundog puppy, training and a whole lot more. TYG: So Kate, I wanted to talk to you about the feeding regime for your dogs. What does that typically look like, and what’s your approach to feeding? Kate: We feed all of our dogs on a dry kibble. We have a lot of dogs and it’s just not feasible to feed over 20 dogs on a raw diet, plus any visiting dogs that come in. Although, we do accommodate visiting dogs if they’re on a raw diet. We don’t feed anything that contains wheat or gluten. 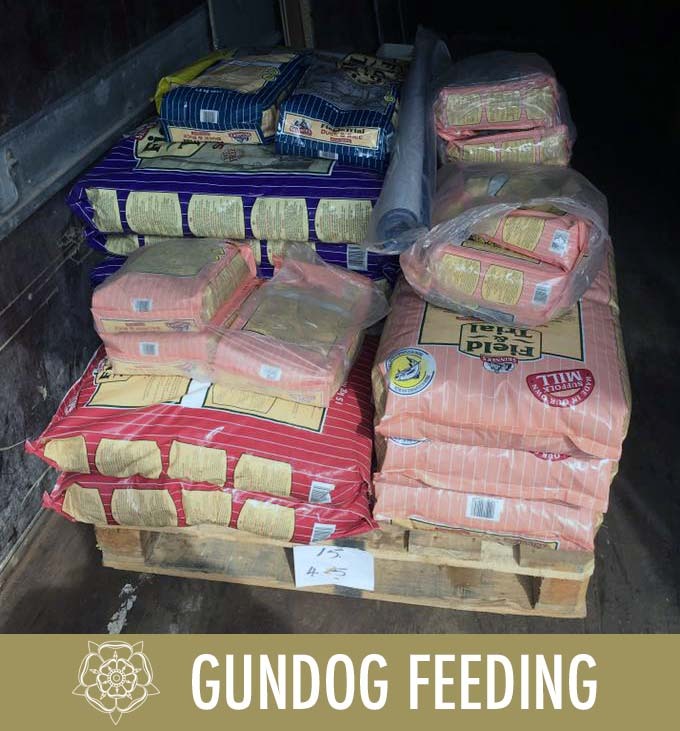 There’s research out there that suggests dogs cannot digest gluten, and we found just through our own experiences of different feeds that they tend to do better and we don’t have as messy a kennel if we don’t feed the gluten. 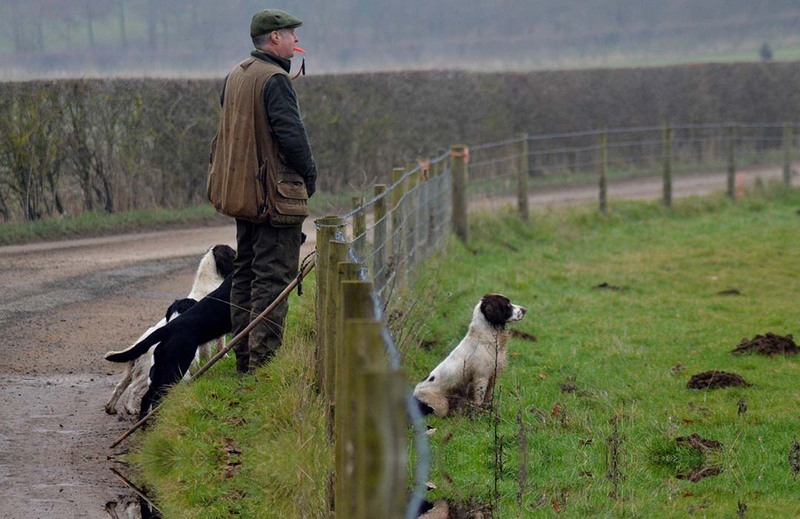 It’s down to the individual, what suits you personally, and what suits your dog. None of our dogs are fed exactly the same, there’s no one size fits all. We’ve got three different types of food on the go for the dogs we’ve got in the kennel at the moment, and there’s only probably two that are fed the same out of over 20 dogs. TYG: So, it’s that bespoke per dog. Kate: Yes. We weigh all the dogs once a month to keep their optimum weight both in the summer months and in the winter and we will expect the weights to alter through the winter. They will put weight on through the winter months, but get thinner, because as they get fitter, they tone up, and muscle weighs more than fat. So, they will look thinner but we keep careful monitor of the weight because they’ll put weight on. We want them to have somebody coverage through the working season, because obviously it helps keep them warm, they’ve got some reserves there. We will change a diet through the winter. We don’t feed maize through the summer, because dogs can become a bit addicted to maize. The dogs that are working heavily through the season, we do change the food so we’re upping the protein, and we feed food with maize in it, because it encourages them to eat when they’re coming in at night. TYG: So the diet changes during the shooting season? Kate: Yep. We will up the protein and fat levels during the shooting season but that doesn’t necessarily alter the amount they’re fed. 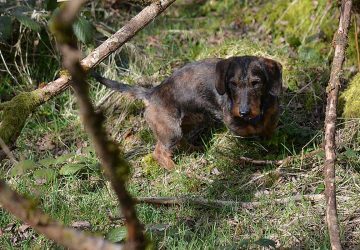 We don’t feed in the morning, because we don’t want to risk twisted gut or anything like that, plus if the unfortunate was to happen, and the dog was to be injured and needed to go to a vet, they can be operated on straight away because they’ve not got a full stomach. We will feed dried fish through the day, just very small quantities at lunch or elevenses when it’s really cold just to give the dogs a little bit of a pick me up. We try not to alter to the quantity of feed that we’re feeding them because you can’t just keep shovelling infinite amounts of food into a dog, because it’s stomach is obviously not going to get bigger and bigger. You need to change the food so that it’s got higher protein and oil and fat content in it so you can get more energy into the dog from the same amount of feed.